Wild North excites with ethereal northern lights atmosphere with the surrounding wrapped in a snow blanket on 5 reels featuring 40 fixed paylines. Play’n Go created this artic adventure inspired by the great wilderness and its stunning animals presented with brilliant graphics, impressive sound effects and profitable winning opportunities. 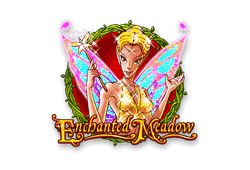 With the aurora borealis delivering the most impressive show produced by nature itself and mystical lights brightens the way to wealthy rewards of 250,000 coins. Dazzling colours against a winter sky is home to the reels and symbols include a grey wolf, brown bear, and a lynx with green eyes, reindeer, poker symbols and the impressive norther light show. 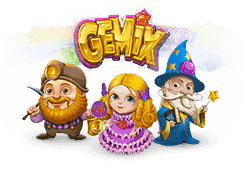 While the northern lights mesmerize the bonus features enthral with additional bonus wins from wilds, bonus scatters, and an exciting northern light bonus game, mega symbols, sticky symbols, free spins, sticky wilds, a wild lynx feature and a great wilderness bonus feature. 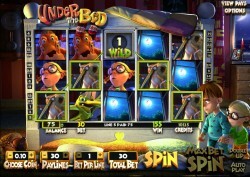 The pokie presents multiple values, which can be selected below the reels. These values represent the total bet per spin, which ranges from 0.20 up to 50.00. At minimum bet one coin will cover two lines, which may seem attractive, but players will find lower payout opportunities are presented. 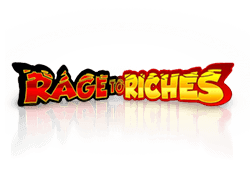 The game rewards the same winnings, but with much higher payouts when a higher bet total is used. The game will be available to all players as many values are available. The wild lynx represents the first feature of Wild North. The lynx have the ability to complete combinations for any standard symbol as the wild symbol and appears on any of the reels. The northern lights are the only symbols that cannot complete combinations with the wild lynx. 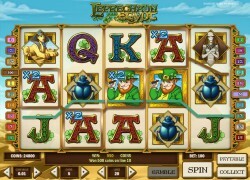 Northern lights are scatter symbols that can activate the bonus game when seen in any position on the reels. At least three symbols have to appear in the same spin before the bonus feature can be triggered. 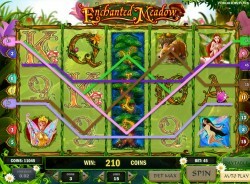 The great wilderness, which will reward three free spins that present mega symbols stretching from reels two to five. 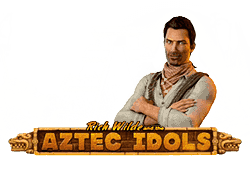 Wild Lynx offers a total of three free spins as well, but will reward players with the up to two wild reels in each spin. Wolf pack will provide one re-spin with a frozen 2×2 wild symbol. If any additional wilds appear on the reels the feature will be repeated. Eyes of the owl also presents re-spins with a 2×2 owl symbols. The reels will continue to re-spin until a combination is completed. The final bonus feature for Wild North bitcoin slot is called wild north explorer, which displays different tiles. Choose from these tiles for bonus wins, until the wild lynx symbols are found. This will activate the represented bonus feature. However, if an animal or bigger red cross is found, the bonus feature will end. 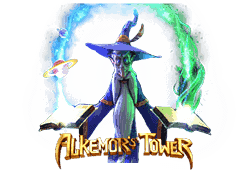 Mobile players can continue their winning journey on all smartphone devices and enjoy the magnificent show with exceptional clarity and incredible sound effects whenever the time arises. Flawless mobile play enable players to enjoy additional wins from the huge collection of bonus features. Wild-Symbol: Wilds complete combinations for standard symbols and appear on all reels. Scatter-Symbol: Scatters activate the bonus feature and complete combinations of their own when seen anywhere. 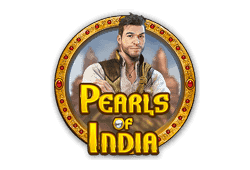 Freispiele: Free spins are available during the bonus feature, which can reward additional features with a maximum of three free spins at a time. Bonusspiele: The bonus wheel provides multiple feature and re-spins. We wanted to quickly let you know that we've added 7 more slots to our growing portfolio of Bitcoin games form Microgaming, Betsoft and Play'n Go. This week is all about Play'n GO games, and we are happy to present you 5 new games that you can try for free on MyBitcoinSlots.com.